The MRSAM provides the armed forces with air defence capability against a variety of aerial threats at medium ranges. 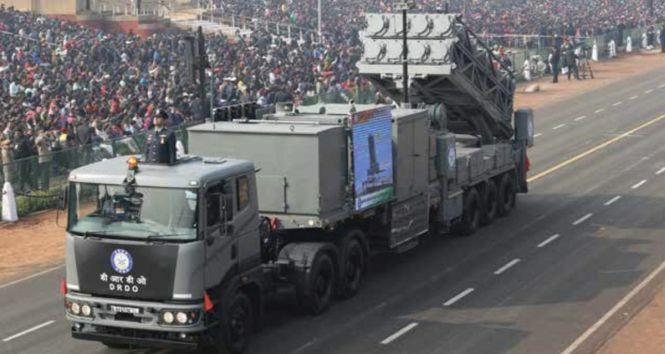 The missile launcher and the command post would be made in India, with the rest of the complex system – including the missile itself – to be made in Israel. IAI will reportedly supply India with 2,000 missiles capable of intercepting enemy aircraft and missiles within a 70-kilometre range. The proposed MRSAM, to replace the old Pechora missiles which currently in service of Indian Defence Forces. According to airforce-technology.com, the MRSAM missile is equipped with an advanced active radar radio frequency (RF) seeker, advanced rotating phased array radar and a bidirectional data link. The RF seeker, located in the front section of the missile, is used to detect moving targets in all weather conditions. The MRSAM surface-to-air missile is powered by a dual-pulse solid propulsion system developed by DRDO. The propulsion system, coupled with a thrust vector control system, allows the missile to move at a maximum speed of Mach 2. The weapon has the ability to engage multiple targets simultaneously at ranges of 70 km.